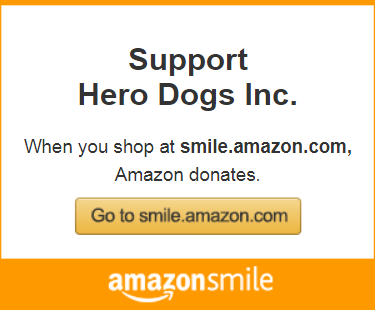 Hero Dogs are trained in three phases over the course of 2.5 – 3 years. You can read more about each phase by following the links below. Phase I – Puppy Training Program – Socialization and training by a volunteer puppy raiser under the guidance of Hero Dogs staff until ~16-18 months of age. Read more on the Puppy Program page. Phase II – Advanced Training Program – Training in specialized service dog skills and tasks by professional trainers at our training facility for approximately eight months. Read more on the Advanced Training Program page. Phase III – Veteran/Hero Dog Team Training – Intensive one-on-one training with Veteran and Hero Dog for a minimum of 120 hours over the course of 6-12 months. Read more on the Team Training Program page.